In our recent infographic, we discussed the difference between Trade Schools and Bachelor’s degrees, and what makes career-training programs a great investment for many students to increase their earning potential! Below, we’re diving deep into CDL training to reveal the true cost of CDL-A programs and how much that education investment is worth. In the infographic above, you can see that CDL programs can cost between $3K and $7K. That may make you wonder: What makes a $7K, $6K, or $5K program cost more money? Below you can see a few of the factors that might increase the cost of a program — and also make some CDL training programs more valuable than others. When you’re learning how to drive a tractor trailer, you’ll want as much 1:1 support as possible, and a good student to teacher ratio will be key. Schools with updated equipment may cost more than than schools with outdated equipment. 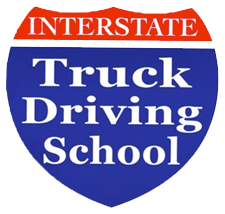 Trucks in good condition and paved practice lots will help you learn relevant skills and get prepared for the work you’ll actually be doing! It’s a good idea to learn about the trainers of a program before you choose a school. After all, you’ll be learning directly from them. Find out if the trainers are certified, and what their experience in the industry is. Many schools are members of organizations that keep them up-to-date on the latest CDL career trends. Programs also usually have to pass a quality check to become a member of these organizations. Pro tip: Check to see if your program is a member of the Professional Truck Driver Institute (PTDI), the Commercial Vehicles Training Association (CVTA), or the National Association of Publicly Funded Truck Driving Schools (NAPFTDS). Check to see what types of career resources are offered before choosing a school. Does the school have partnerships with carriers? Will they help you get pre-hired so you can get placed in a job as soon as you graduate? These services are extremely valuable for new drivers! If you’re not ready to commit to full-time training, check to make sure your school offers a variety of schedules. Convenient scheduling may drive up the cost of training, but it also means you can continue to work and earn money while you train for your new career. Commercial driving industry insights provided by guest contributor Brandon Wooden — Entry-level Recruiting Manager at J.B. Hunt. View his LinkedIn Profile here. The opinions above belong to Brandon Wooden, and do not necessarily reflect those of J.B. Hunt, their partners & affiliates, and/or the trucking industry. All outcomes information has been collected by Climb on a good-faith-efforts basis, however, this information relies on inputs beyond Climb's ability to test or control. Accordingly, Climb makes no representation or warranty as to the accuracy of this information and this information should not be relied on in making a decision whether or not to attend a course at the above-referenced entity. J.B Hunt does not endorse loans originated by Climb InvestCo, LLC, and Climb InvestCo, LLC is not affiliated with J.B Hunt.